HomePod services like sending text messages or creating reminders can only be accomplished with the Apple ID used to initially set up the device. If you want to change the Apple ID affiliated with your HomePod, you'll need to redo the setup process. To get started, open the Home app and then find your HomePod. Press and hold on the HomePod icon, then tap Details, then scroll to the bottom where you'll find the Remove Accessory button. If you can't find HomePod in your Home app for some reason, the device can be manually reset. To do this, unplug your HomePod, plug it back in, and press and hold the top touch panel. Wait until you hear three beeps. In either way, your HomePod will be ready to set up with a new device and Apple ID. Simply hold your iPhone or iPad near the HomePod to pop up the automatic prompt to get started. If you just want to change the Apple Music and Podcasts account associated with HomePod, and not access to personal services, you can do that without resetting the device. In the Home app, again press and hold the HomePod icon, then under Music & Podcasts, select the account. From here, you'll be able to sign out from your Apple Music account, and sign into an alternative one. Sadly, if you do not use the account who runs the 'Home', any additional speakers can't use HomeKit. I was going to hook my wife's office speaker so she could use Personal Requests in her office, but then it removes it from the household. Thanks! The info about being able to sign into a different Apple Music/Podcast account from the Apple ID you are signed in with is VERY helpful. I had not heard that before. Wow, talk about a surface level article lacking complete information. From my experience, and I’d suggest you try it yourself, you cannot setup a HomePod with any other Apple ID than the one that setup the home in homekit. If you try you get a specific message stating that. You can change the Apple ID for music selection like you wrote but your suggestion of removing the device from homekit is useless as it does not allow you to setup the HomePod from another Apple ID. So you CAN change the AppleID of the HomePod... Your concern seems to be that a "Home" under homekit is tied to a single AppleID. Of course, I could be completely misinterpreting your post. When you setup HomePod to work with an existing HomeKit Home, it REQUIRES you to use the AppleID used when HomeKit created that Home. It is not possible to use a different AppleID. This article is very misleading. We own only one home. I used my Apple ID to setup homekit. I used homekit to invite my wife’s Apple ID so she can use homekit too. 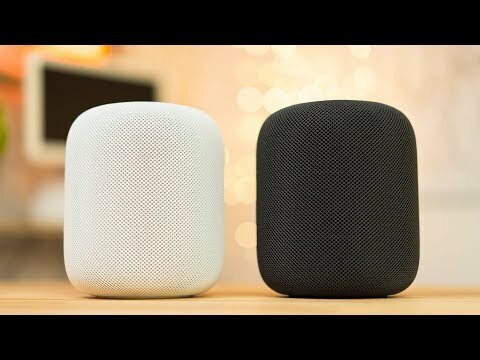 I bought a homepod as a present for my wife so she can use it for all its functionality, reading messages, music, etc. Except she cannot setup her HomePod and therefore she cannot link her Apple ID to the HomePod. The article says you can remove the device from homekit and redo the setup process with another Apple ID which I could not do, thus my criticism.